What is a Christmas poncho, you ask? Well, thank you for asking! 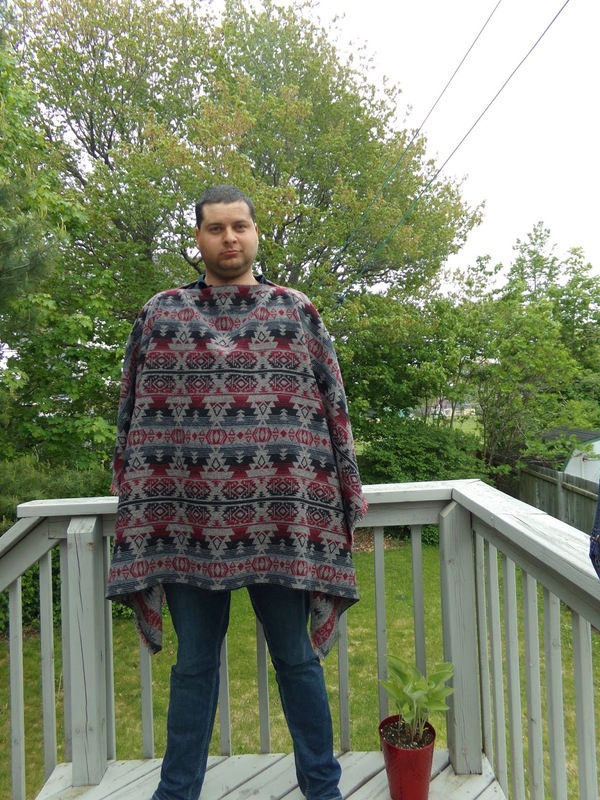 According to Andrew, it's a poncho made in Christmassy fabric. 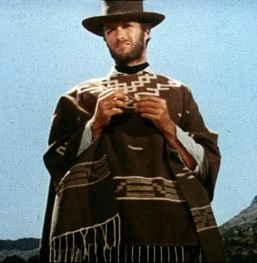 Not just any poncho, but one like Clint Eastwood wears as a man with no name. Also, I made this back in December, we just got around to taking pictures now. If this project were any more difficult, I probably would not have agreed to make it for Andrew because it does not seem like a garment that he would get much use out of. Boy, was I wrong. 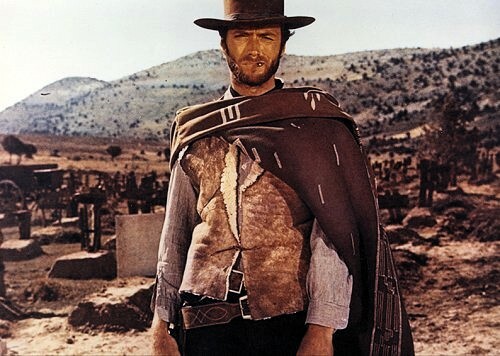 He wears it almost everyday. 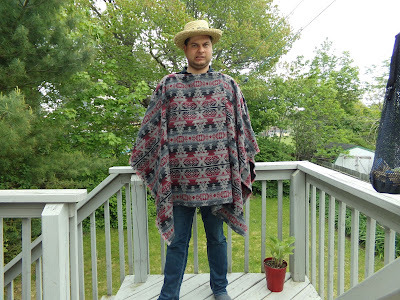 He wore it to my parents' for Christmas, to his Grandparents' for boxing day, and he wore it for New Years Glamping Eve. I've actually started getting requests for more, who knew. 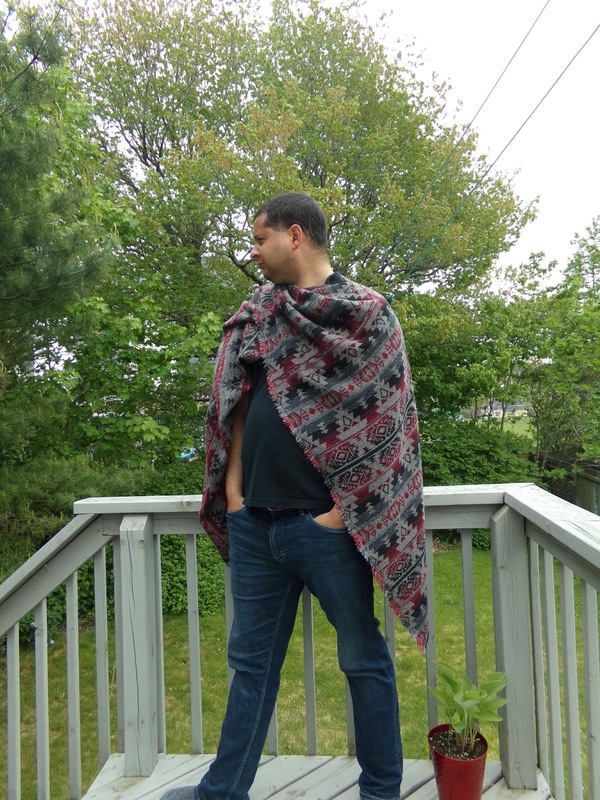 I bought about 2.5m of 60" wide fabric for this. 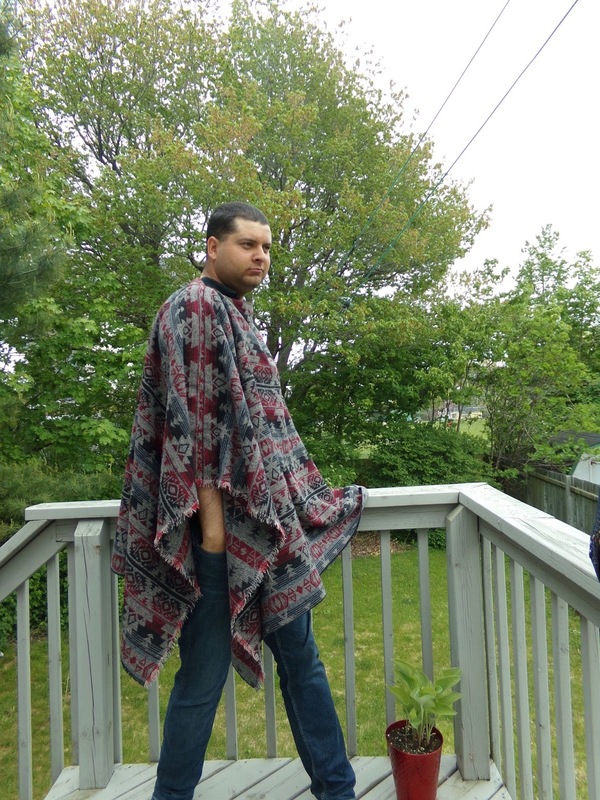 The name of the fabric is "Poncho Perfection", so Andrew was clearly not the first person to see the fabric and think it was perfect for a poncho. The poncho is made up of 2 pieces of fabric sewn together at the shoulders, with a gap left for the head hole. I sewed down the seam allowances so it's a nice clean finish around the neck. I left all other edges alone, and it's fraying nicely. Andrew is a little concerned that it might fray too much, but if it becomes an issue I could just serge the edges. If anyone would like a more detailed tutorial with poorly done sketches, I would be happy to write a post for it. It only too a couple of hours, and that was because I kept making stupid mistakes and needing to pull apart seams (it was really strong fabric though, so a good yank to rip out stitches was no problem. I barely needed my seam ripper).